Established in 2001, Charleston Angel Partners is the area’s longest-tenured and most established angel investment group. The top priorities of Charleston Angel Partners are to make investing simple and profitable for our members and to assist our portfolio companies in reaching their goals. We believe that meaningful economic impact happens when great people support great ideas. Interested in angel investing ? Diversify your investment portfolio with high risk - high reward investments tempered by experienced group leadership and a thorough due diligence process. Take advantage of the lessons learned from decades of experience and over $9,000,000 of angel investments to date. Gain exposure to investment opportunities from all over the Southeast, not exclusively Charleston-based companies. Occasionally we may reach beyond the Southeast to more established areas. Leverage the diverse backgrounds and skill sets of peer members when assisting with due diligence on investment opportunities. 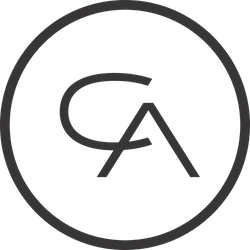 Charleston Angel Partners is a member of the Angel Capital Association. The ACA is a collective of accredited angel investors, North America's most prolific early-stage investment class. The association is the largest angel professional development organization in the world. The ACA provides an insider perspective that can help you make smart investment decisions and we’re proud to be a member organization.